I used to hang out around Thomson when I was in sec school. 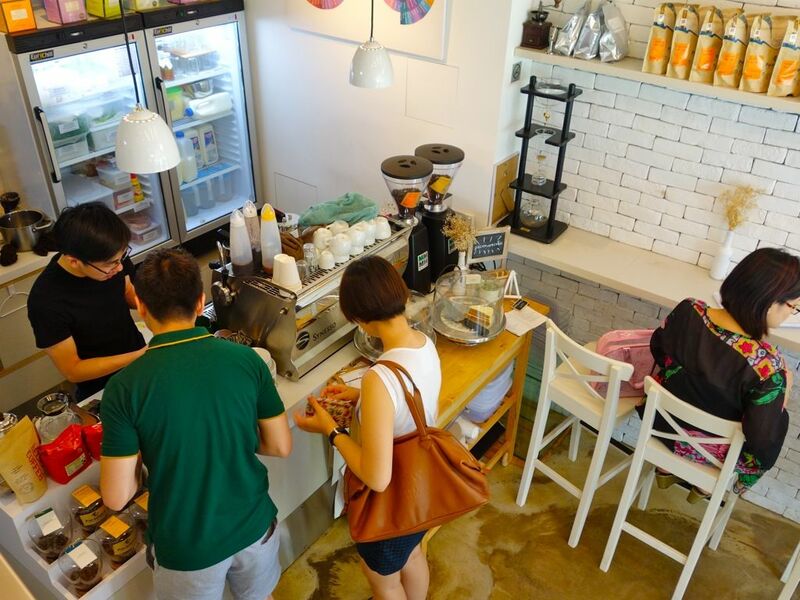 Its lovely laid back charm is quite like Siglap, Serangoon Gardens and Holland V. Not forgetting to mention, it's another food enclave which now offers more cafe and brunch options like One Man Coffee, Habitat Coffee. 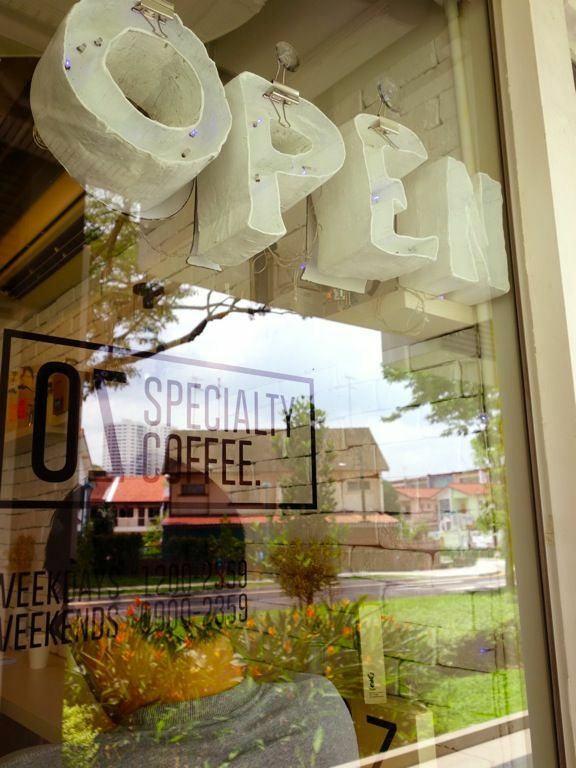 Joining them is OZ Specialty Coffee, an independent coffee boutique located just slightly off the main Upper Thomson Road, in the haphazardly organized Thomson V Two. 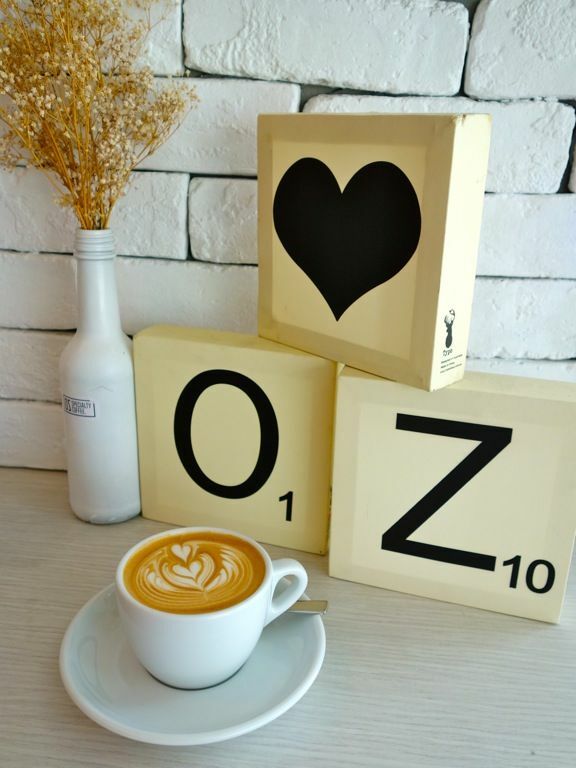 OZ is a really (really) small outfit but it provides a wide variety of beans from Brazil, Ethiopia, Guatemala, Indonesia, Thailand etc. Pacamara Coffee Roaster beans are used here. You know they are serious about their coffee with the arsenal of brewing products on sale. 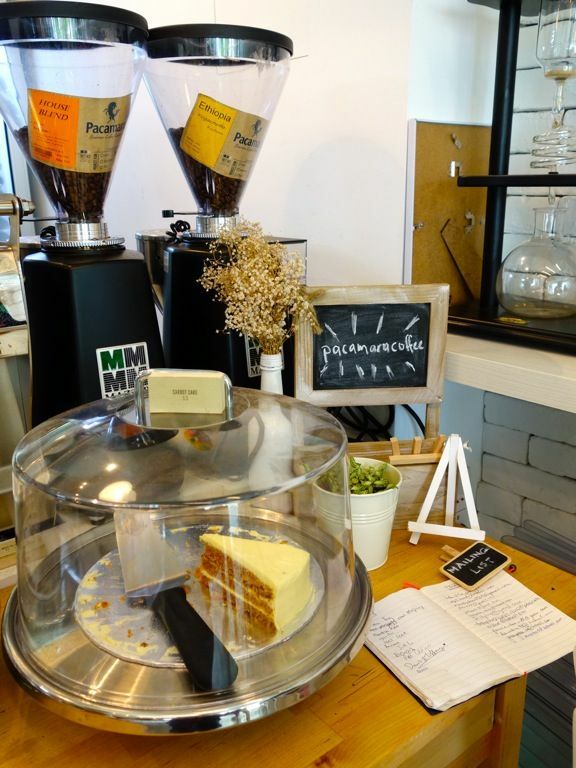 Japanese Kalita home brewing products are available here and other commercial coffee equipment as well. 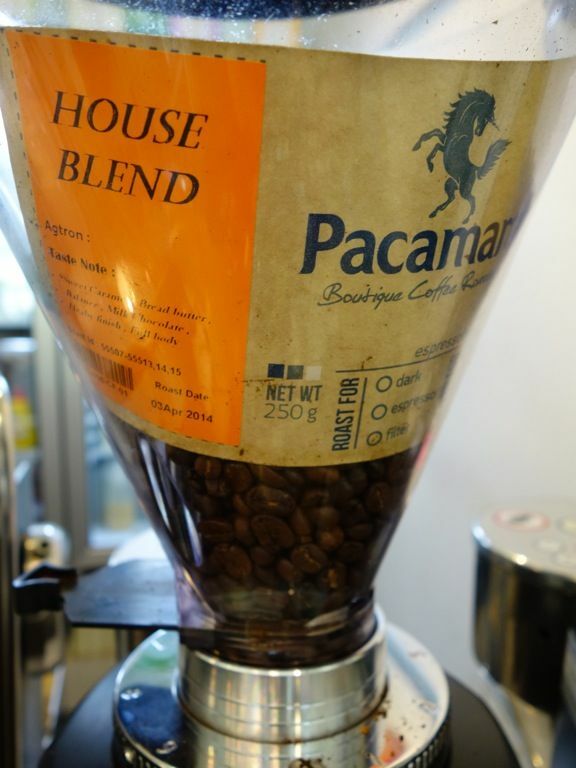 I had the House Blend latte which had notes of milk chocolate, ripe fruits, roasted nuts with mild floral hints. It's mellow and smooth. Go for this if you want something strong. Light bites are also on offer, including waffles (from $7) and sandwiches (from $8.50). 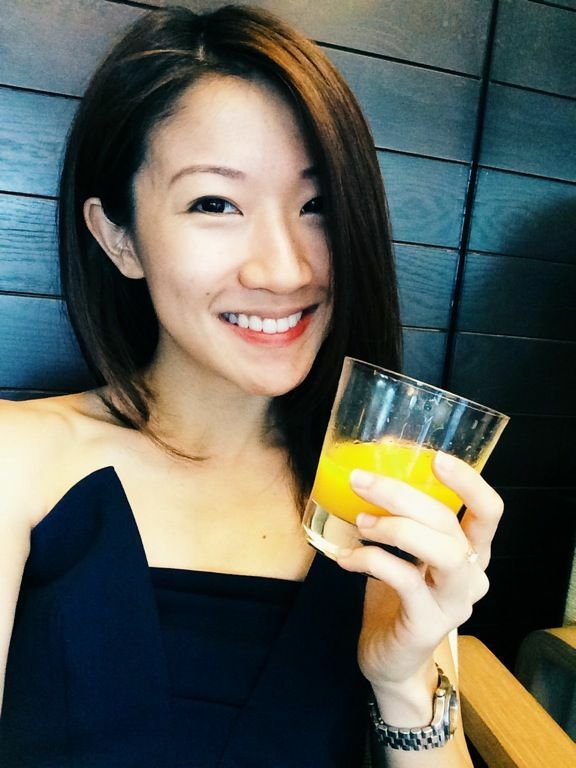 Their breakfast dishes look run-of-the-mill though. I spied on the next table's scrambled eggs, which seemed runny enough but everything else was just heated/pan friend and thrown in I guess. 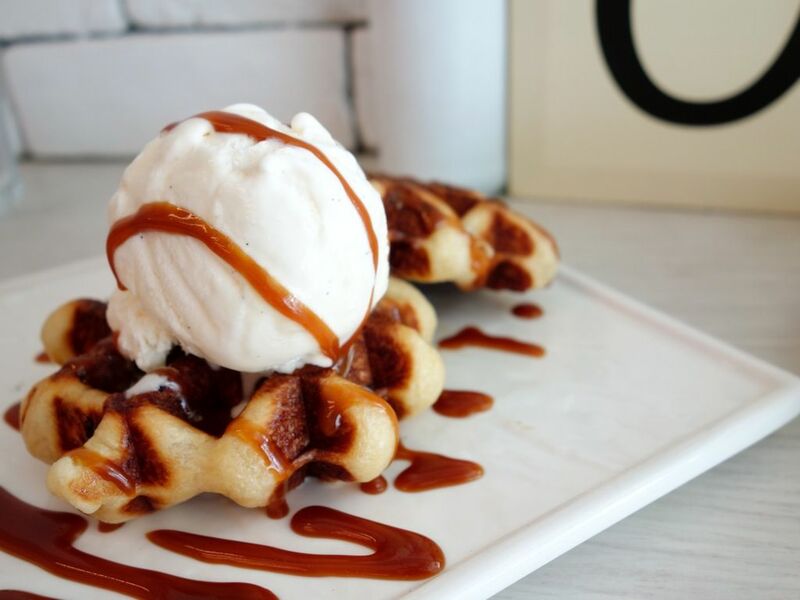 What you must definitely have is OZ's Belgium waffles! 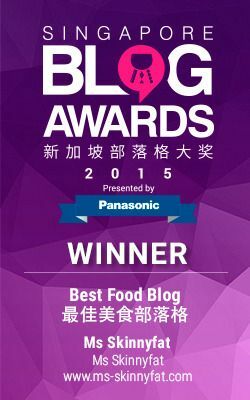 I swear it was actually a compressed croissant masquerading as a waffle. 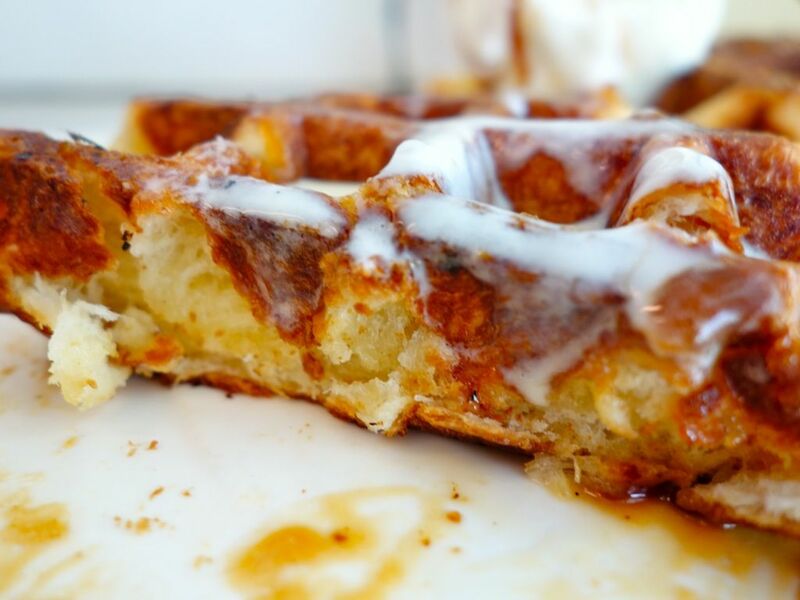 I died and went to waffle heaven when I bit into the dense buttery pastry (yes I can call it that!). The browned parts had a puff pastry exterior while the inside had the pull of a well made croissant. And that salted caramel was rich and thick without being cloying. Commercially produced New Zealand Natural vanilla ice cream was paired with it but even that didn't take its shine away. Ok NZ Natural isn't that bad I guess (there could be worse). I really dig their waffles but the hole in the wall is too small a spot even for the little me. An indoor bar top against the wall seats 5 uncomfortably (it's a squeeze). There're about 6 tables for bigger groups along the sheltered corridor but do go prepared with your own mini fans or other cooling devices you may fashion out of paper napkins. Guess it's good that OZ opens till late at night.